Senate Republicans met in their weekly lunch a few hours after Boehner's announcement. The short version of events is that McConnell urged colleagues to allow a vote on the House debt limit bill. If the GOP did not object, it could be passed with a simple 51-vote majority, and since there are 55 Democrats in the Senate who would vote for it, every Republican could vote against it and it would still pass. Problem solved; there would be no more default talk, and Republicans could go back to slamming Democrats over Obamacare. As much as some of us are fans of “dysfunction,” tactically speaking, playing defense forever is no strategy. Yes, the establishment works tirelessly within the political realities of the day. Cruz, it seems, is more interested in changing the reality of his situation. Forcing a 60-vote threshold on the debt ceiling wasn’t only about the debt ceiling (which Cruz surely understood would be hiked), and it wasn’t only about his presidential ambitions (which he surely has), but creating the type of problems for the GOP that will help bring a bunch of Matt Bevins into the Senate and solidify his position. “There’s a resounding message in these poll results for the Washington establishment. This is not a survey of casual Republicans or sometimes voters. These are activists who pound the pavement, make the phone calls, and cast their votes in every election every year,” said Todd Cefaratti, founder of TheTeaParty.net. “They have a message for the candidates of status quo Washington: We are coming for you. We will beat you. And we will send you packing from the halls of power,” he added. Ted Cruz is one of the few who is actually doing his job. Every time the debt ceiling comes up, Cruz forces the nation to pay attention. This stuff matters, and we should be grateful to him for refusing to quietly roll over as the nation sinks. Throwing a brick through the window to wake up the nation to the mess that has been created is an act of patriotism. I am mystified by those who think it’s all a game of psychology. Cruz’s antics make Republicans look bad, they say. Meanwhile, Obama and his party are having a field day with the Republican congressional cave-in, passing a condition-free debt ceiling increase. In the recent intra-Republican drama, Senate Minority Leader Mitch McConnell wanted to let Democrats suspend the debt limit, but he wanted all Republicans to get credit for opposing the move. Democrats played this game last decade -- railing against debt-limit hikes (think Senator Obama) and holding votes to defund the Iraq war -- while happily letting the GOP win in the end. The result: a pacified Democratic base, and Democratic victories in 2006 and 2008. McConnell would like to repeat that play. Cruz won't let him. Around one hundred lawsuits challenging the president’s signature policy achievement are currently making their way through the courts. Some of these lawsuits challenge very specific parts of the law, while others are challenging the law in its entirety. ◼ Here is a list of the six major legal challenges to the law. Hotze is also challenging the law’s constitutionality under the Constitution’s “origination clause,” which requires that all spending bills originate in the House of Representatives. The substance of Obamacare was first introduced in the Senate by replacing the text of an unrelated bill that came from the House. Matthew Sissel and the Pacific Legal Foundation are also making this argument in Sissel v. U.S. Department of Health and Human Services. Hotze lost his case based on this argument, as did Sissel in a D.C. district court. Sissel, like Hotze, is appealing. Should this argument succeed, the whole law would be struck down. A dozen people ignoring a gun law? That, they can vilify. But... A hundred thousand law-abiding gun owners offering the middle-finger salute to their state? That's called ‪#‎nullification‬. Even in legal matters, there's safety in numbers - and the state knows it. They're well aware that this is too many people to allow some kind of gun-grabbing witch hunt. As a result, for now, they don't know what they're going to do. Mitt Romney tells the plain truth about ObamaCare in an interview with Fox News host Megyn Kelly. Appearing on “The Kelly File,” Mitt Romney had some sobering thoughts on Obamacare’s effect on Americans’ health insurance, jobs, and the economy. It’s a real mess. Look, the implementation of Obamacare is one part of the problem. I think the breach of promise and the whole structure of how its put together is the biggest problem, but the implementation having been an unmitigated mess. It’s been very disappointing and very revealing to see the President go through and make these changes which is a very tacit and in fact explicit recognition that the law isn’t working and that this Administration has not done the job they promised they would do. It turns out the 'Evil' Koch Bros are only the 59th biggest donors in American politics. Can you guess who is number one? ◼ OpenSecrets.org tallied the top donors in federal elections between 1989 and 2014. Koch Industries -- privately owned by the Evil Koch Bros -- is on the list, to be sure, but doesn't appear until the 59th slot, with $18 million in donations, 90 percent of which went to Republicans. ...So, if money is the measure of evil in American politics and the Evil Koch Bros only come in 59th, who is really the most evil donor ever? Turns out it's Act Blue, which has given just short of $100 million in its lifetime, which only started contributing in 2004, 15 years less than the Evil Koch Bros.
Q: How Many Times Has Obama Unilaterally Altered Obamacare? 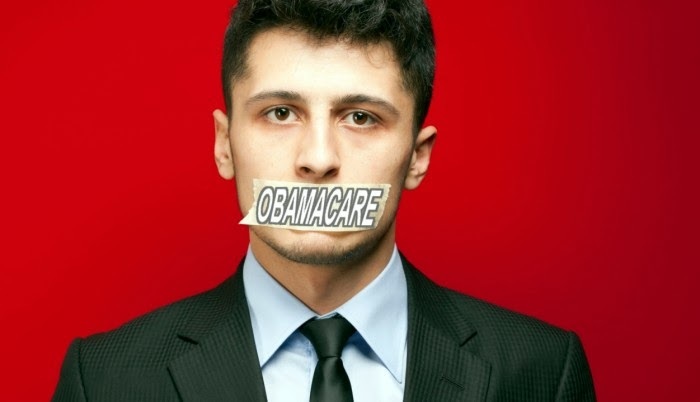 ◼ The Galen Institute records 35 legislative changes to Obamacare since it was enacted. Eighteen have occurred without the input of the legislative branch. The Galen Institute has compiled a list of all of the post-Thor’s gavel changes to the Affordable Care Act — there have been 35 legislative changes in total; 18 of these have occurred without the input of the, uh, legislative branch. It’s like someone there thinks elections should matter less or something. These are what I have been calling for more than 20 years the media’s Episodic Apologists. Their professional lives have followed a well-worn arc since at least 1992, when the Clintons first emerged nationally — though the arc was there in Arkansas back in the 1980s. At first, the Episodic Apologists are full of hope for the Clintons — they have such charisma, such political promise. Then, splat, they fall headlong into a scandal of their own making — Troopergate, Travelgate, Monicagate, Impeachment or Their Incomparable Exit from the White House. A three justice panel of the 9th Circuit Court of Appeals has ruled 2-1 that a state can restrict "open carry" or "concealed carry", but it is unconstitutional to ban both because the 2nd Amendment phrase "and bear" actually means something: "but carry for a particular purpose -- confrontation." 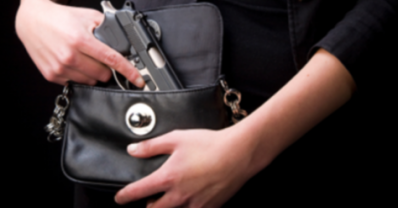 The Ninth Circuit gets it right in holding that California cannot both bar open carry and crimp the ability of law-abiding citizens to get concealed carry permits. "The right to self-defense doesn't end at your threshold," (C.D. Michel, lawyer for the National Rifle and Pistol Foundation) said. He said the ruling was "probably the biggest Second Amendment win" since the Supreme Court's 2008 ruling and a follow-up decision in 2010. The National Rifle Association (NRA) funded the plaintiffs’ legal battle. Paul Clement was the lead attorney in the case and argued it before the Ninth Circuit. “One of reasons the NRA thought this was a good case to bring was precisely the combination of California state law banning open carry and San Diego policy on licensing for concealed carry made it quite definitive that an ordinary, lawful citizen with an interest in self defense couldn’t carry no matter what,” Mr. Clement told me in an interview late Thursday. The nightmare societies portrayed in the George Orwell novels “Nineteen Eighty-Four” and “Animal Farm” gave us the word “Orwellian.” That adjective reflects a vast government’s efforts not just to deceive and control the people, but also to do so by reinventing the meaning of ordinary words while rewriting the past itself. 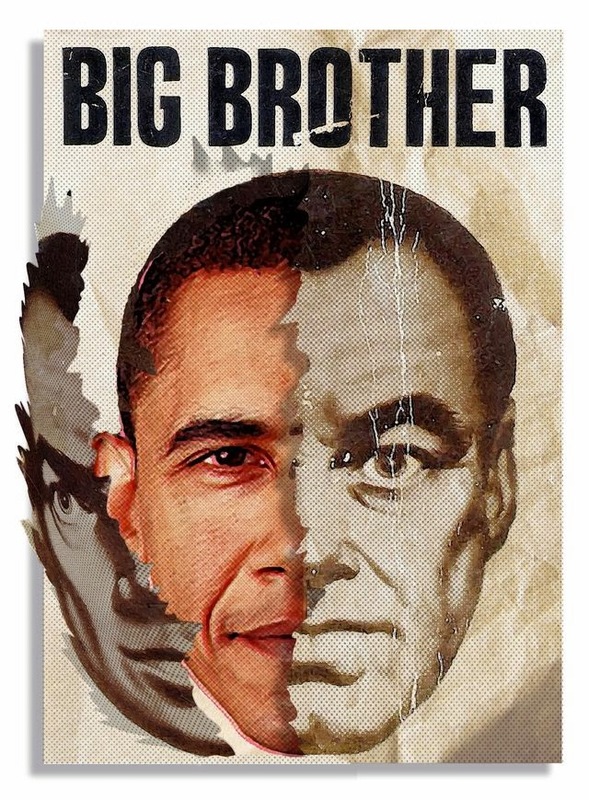 America, of all places, is becoming Orwellian. The president repeatedly reminds the American people that under his leadership, the United States has produced a record level of new oil and natural gas. However, didn’t President Obama radically curtail leases for just such new energy production on federal lands? Have the edicts on the barn wall of “Animal Farm” been changed again, with the production of new oil and gas going from bad to suddenly good? Does anyone remember that the “Affordable Care Act” was sold on the premise that it would guarantee retention of existing health plans and doctors, create 4 million new jobs and save families $2,500 a year in premiums, all while extending expanded coverage to more people at a lower cost? Only in Orwell’s world of doublespeak could raising taxes while the costs of millions of health plans soars be called “affordable.” Is losing your existing plan and doctor a way of retaining them? In politics, of course, the left and right, conservative and liberal, make up stuff. But Orwell, who also blasted the rise of European fascism, focused more on the mind games of the statist left. Because of those supposedly exalted ends of equality and fairness, statists were more likely to get a pass from the media and public for the scary means they employed to achieve them. The other reason to watch is his debunking near the end of the “power of the purse” strategy to check Obama. Mike Lee told the Weekly Standard two days ago that that’s the way he thinks Congress should rein in the president: They’re not going to roll the political dice on impeachment and they can’t sue for lack of standing, but they can go ahead and cut off Obama’s money in areas where he’s exceeded his constitutional boundaries — in theory. The problem with that approach, says Turley, is that O’s not above unilaterally moving money around that’s been appropriated for other purposes. Turley holds the Shapiro Chair for Public Interest Law at The George Washington University Law School where he teaches torts, criminal procedure, and constitutional law. He is the youngest person to receive an academic chair in the school’s history. He runs the Project for Older Prisoners (POPS), the Environmental Law Clinic, and the Environmental Legislation Project. Prior to joining the George Washington University, he was one of the youngest professors to be offered tenure at the Tulane University Law School. But Turley has an interesting quirk that makes him unusual in another way: he thinks for himself. Almost lost in the polemics over Obamacare’s depressing impact on employment was the troubling overall outlook presented recently by the Congressional Budget Office (CBO). Prospects for both the budget and the economy in general are declining, in the CBO’s view, with potential consequences severe enough that they demand further attention. ◼ Levi Russell, a spokesman for the group, told Breitbart News that the "Mailbox" ad feels different from other staid commercials because it "cuts through the hyper-political talking points around Obamacare and connects with the heart. "Real people are hurting. Real people are losing access to their family doctor or finding their insurance plan cancelled out from under them. We want to share that frustration and anxiety, and get past the latest smoke screen from [White House spokesman] Jay Carney," he continued. "Far too often, conservatives tend to spend too much time on the numbers, facts, and stats, and not enough time on the personal impact of the issues we engage on. The reality is there are millions of Obamacare victims, and this ad connects us with them, rather than the latest CBO report." ...The 12-page indictment alleges that, while serving as executive director of the federally funded Housing Montana, McClure, between 2008 and 2010, paid herself “significant sums” for consulting services, although she was already on the payroll as a full-time employee. Politically, and this is important, a debt ceiling fight / shut down battle would give the Democrats more political bullets. Political reality is if your opponent has the gun, you don't buy them the bullets. One vote is important and always is but in this case it may be future multiple votes and voters that matter for those of us that are again disappointed in no change in Federal government spending habits. This does allow Republicans to focus on Obamacare going into 2014 in both the Senate and the house. Speaker Boehner, the Republican leadership and even Democrats will go home next week to many Americans like me who are angry at the repeated congressional failures to be responsible and cut spending. Boehner and his Republican cohorts had better fight hard to accomplish the correct policies for America between now and November 2014. The real problem is not so much the intractable Barack Obama as the intractable and invisible Harry Reid. Reid is the hit man who quietly murders every good bill to emerge from the Republican House. On the rare occasions when someone at the press bothers to point a camera at him, the results are sickening and repulsive to the American people ("Why should I care about kids with cancer when government employees are suffering?") but that almost never happens. The public doesn't know how he scuttles pro-growth House bills or "fills the amendment tree" to poison legislation. They blame the Republican Party in a nebulous sense for do-nothing gridlock, when it's really this one guy who is personally responsible for most of it. His invisibility means President Obama never has to pay the political price for openly vetoing bills that would sound great to the voters. For whatever reason, the GOP leadership doesn't even try to explain that to the American people. Instead, the GOP leadership accepts a media narrative that blames them for everything, especially when they think some of the blame can be dumped on those conservative and Tea Party upstarts they hate. They fight internal battles with glee, but shrink from external conflicts with the Democrats, afraid to use anything resembling the fiery language routinely deployed against them. ...Observers said his and Kaine’s investments in TransCanada competitors are troubling given their public positions on Keystone. “This is not an ‘appearance of conflict of interest,’ it is a bald-faced conflict of interest,” said Ron Arnold, executive vice president of the Center for the Defense of Free Enterprise. The employer mandate move is merely the latest in a long list of unilateral changes Obama has made to his signature law. His administration delayed the implementation of income verification requirements for those applying for federal health insurance subsidies; minimized the impact of a “reinsurance fee” on labor union health care plans; and announced he wouldn’t enforce rules in the law that had spurred insurers to cancel millions of health care plans, undercutting his promise that those who liked their plan could keep it. The actual text of the legislation he signed is secondary to what best serves his political purpose at the time. While Republicans are attacked for wanting to sabotage Obamacare whenever they propose reasonable changes through the constitutional legislative process, it has been deemed perfectly acceptable for Obama to unilaterally make sweeping alterations. Perhaps I spend too much time lurking around left-leaning blogs, but there are many myths taken as fact without any additional analysis. One of the most prominent? The notion that red states take the most aid from the government. ...But as solid as the statistics Krugman provided might seem, we’re left with one glaring problem: States aren’t people. Could it be possible that liberals within conservative states are the ones taking the welfare dollars? A ◼ survey by the ◼ Maxwell Poll on the political affiliation of those receiving government aid showed this to be the case. Attributing the problem to red states is false; the problem lies in the blue parts of the red states. Paul Krugman and the left would like us to believe that red states are the poorest states. PolitiFact rated such a claim as “true” noting, “The Census data also show that 9 of the 10 states with the lowest median household income were Red: Mississippi, Arkansas, West Virginia, Kentucky, Alabama, Tennessee, Louisiana, South Carolina and Oklahoma.” Whether or not a state is red or blue is based off how they voted in the 2012 election. In another case of how sloppy PolitiFact’s “fact checking” can be, they didn’t even take cost of living differences into account when determining which states were the poorest. Or that half of those “red” states have Democratic Governors....MORE, AT THE LINK. The Maxwell Poll has detailed information about welfare use....Hardly surprising, we see that in a two-party split, 60-80% of welfare recipients are Democrats, while full time Workers are evenly divided between parties. ◼ (S)imilar results in this recent NPR-Poll.Among the Long Term Unemployed, 72% of the two-party support goes to Democrats. Obama's IRS made a new regulation on tax preparers, even though it had no authority to do so. http://t.co/tGl1xd59An Seeing a pattern? “The IRS may not unilaterally expand its authority through such an expansive, atextual, and ahistorical reading of” the law. The Court of Appeals for the District of Columbia Circuit used these words in a Feb. 11 ruling that struck down an Obama administration regulation on tax preparers. Federal judges should copy this phrase and be ready to paste it into rulings -- sometimes replacing "IRS" with "Health and Human Services" -- as President Obama continues to act as legislator in chief, making and amending laws as he sees fit, separation of powers be damned. In the same week Obama illegally delayed the employer mandate and out of thin air created a bizarre loyalty oath to administer to companies suffering from Obamacare, a federal court unanimously smacked down his IRS for executive overreach. The latest IRS case wraps in a tight ball all of the defects of Obama's governing style -- the constantly revolving door between private and public sectors, a rogue IRS, skirted ethics rules, burdensome regulations that crush Mom and Pop and favor big business, and, above all, the usurpation of Congressional prerogatives by the executive branch. After the GOP-led House of Representatives on Tuesday voted to increase the nation’s debt ceiling with no strings attached, Sen. Ted Cruz (R-Texas) vowed to seek out a 60-vote threshold when the Senate votes on the measure. 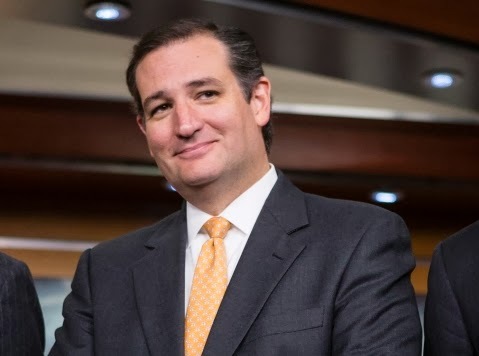 When the debt ceiling bill, passed in the House with the help of 28 Republicans, reaches the Senate on Wednesday, Cruz plans to object to the simple majority vote, the Texas senator’s office confirmed. This could very well mean a Cruz filibuster. Top 144,000 taxpayers in CA pay about 40% of the income taxes. In the wake of a $6 billion-per-year tax increase on high earners in the Golden State, Nevada brokers have reported big jumps in luxury home sales. 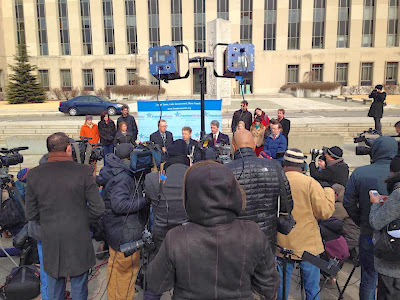 Rand Paul, Matt Kibbe of FreedomWorks, and lead counsel Ken Cuccinelli are announcing a class action lawsuit against President Obama, James Clapper, Keith Alexander, and James Comey over violations to the 4th Amendment to the U.S. Constitution. ...There can be no justification for the preservation of a domestic surveillance program that has utterly failed in its stated goals. In addition to the NSA's privacy violations, the existence of government spying serves as a significant obstacle toward citizens exercising their First Amendment rights to free speech. We have already seen government agencies like the IRS specifically target law-abiding citizens for their political views. 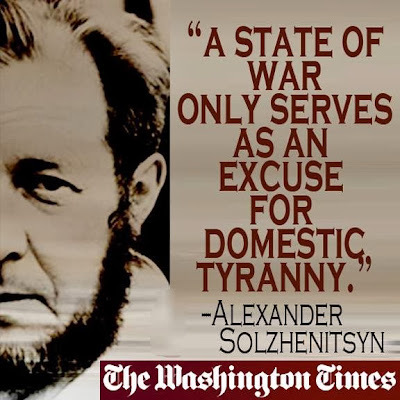 The willingness of ordinary people to criticize the government will be greatly compromised by being under the constant, watchful eye of the government, and anyone deemed guilty of suspicious activity may consider an audit the least of their worries. 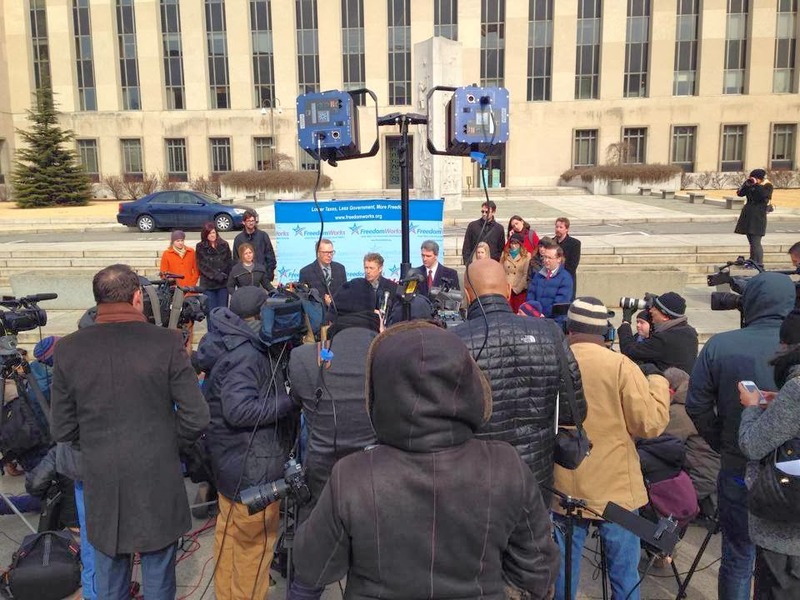 For all these reasons, we have elected to file a class action suit on behalf of all Americans whose rights have been violated by the NSA's unconstitutional spying programs. We are requesting a ruling confirming that the blanket collection of Americans' telephone metadata without reasonable cause violates the Fourth Amendment of the U.S. Constitution, and requiring that these programs be halted immediately and that all previously collected data be purged from government databases. It's time to hold government officials accountable for their habitual trampling on the Constitution and on our rights as individuals. Our case will be an important step down the road of restoring our Constitution and reining in our own overreaching federal government. Last week, the Los Angeles Times reported that her resignation coincided with an FBI inquiry into her role at an Obama reelection campaign fundraiser in 2012. Put on your super-shocked faces, everyone: Former Obama administration official Hilda Solis, who is now running for yet another government position in Los Angeles, is embroiled in yet another union corruptocracy scandal. The Hope and Change hits just keep on coming. After stepping down from her Obama cabinet position last year, Solis is back in the political spotlight. With massive union backing of some $500,000, she's running for the powerful Los Angeles County Board of Supervisors. Question: Why did she step down from her cushy White House post? Inquiring local reporters in Los Angeles wanted to know. Last week, the Los Angeles Times reported that her resignation coincided with an FBI inquiry into her role at an Obama reelection campaign fundraiser in 2012. When the paper asked the Solis campaign whether she had informed Obama of the FBI probe, a spokesman responded tersely: "It is inappropriate for a cabinet official to (discuss) private communications with the president." Oh, now we care about what's appropriate? LOL. San Diego has a new Mayor! Chairman Jim Brulte, The San Diego Republican Party, ◼ The California Young Republican Federation, California College Republicans & Assemblyman Travis Allen in cooperation with the Kevin Faulconer campaign put together one of the largest statewide Get Out The Vote (GOTV) efforts in history. One race at a time, one seat at a time we will continue to restore balance in government back to California. Kevin Faulconer led City Council colleague David Alvarez 55.24 percent to 44.76 percent Tuesday evening in the San Diego's mayor's election. Faulconer has 131,404 votes and Alvarez has 106,492 votes with 85.9 percent of precincts reporting....If Faulconer wins, he would regain control of the city's top seat for the Republicans. Alvarez picked up last-minute endorsements from fellow Democrats President Barack Obama and Gov. Jerry Brown. He is also supported by organized labor and other Democratic officials. Kevin Faulkoner recaptured the mayor’s office in San Diego for Republicans in a special election yesterday. The polls were skin-tight leading into yesterday’s election, and unions poured in millions to keep control in the nation’s eighth-largest city. But in the end the vaunted Obama election model — flood the zone with negative attack ads and excite the base of the Democratic party — flopped. Faulkoner defeated fellow City Council member David Alvarez by nine points in a city that Barack Obama carried by 63 percent to 37 percent only 15 months ago. Democrats were stunned at the margin. Partly the Faulkoner blowout was the result of the lower turnout of a special election called to replace disgraced Democratic Mayor Bob Filner. But partly it came from a renewed ability of Republicans to reach out to independent and moderate voters with the need to practice fiscal restraint and sound management. “It’s been less than a decade since public-employee unions drove San Diego into near-insolvency, and people were reminded of that,” says Jason Roe, a political consultant in San Diego. 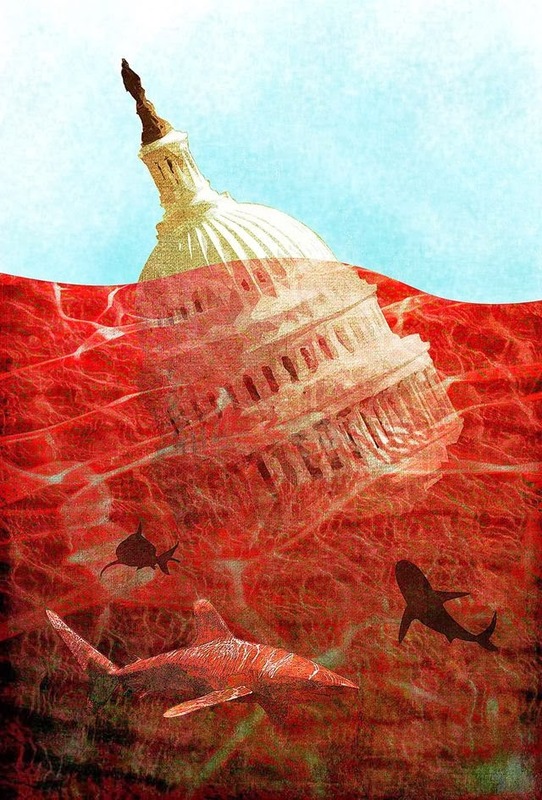 “Why is it that members of Congress have to go to a super secret location, a cone of silence … to look at the deal?” Ros-Lehtinen asked a panel of nuclear experts last month during a House hearing. Ros-Lehtinen described the secret document as “quite eye opening” and wondered why the Obama administration continues to keep it under lock and key. Former Miss America with a Harvard education looks to become the first black female Republican in Congress. The lengths this administration went to prevent free speech is totally incredible. The IRS audits were an abuse of power meant to intimidate the conservative groups into silence. And the fact the mainstream media doesn't cover this story is outright shameful! The FBI finally has begun to contact some of the tea party groups targeted by the Internal Revenue Service for inappropriate scrutiny in the first public signs that the administration’s criminal investigation is progressing. A lawyer representing some of the tea party groups that battled the IRS for tax-exempt status told The Washington Times that a “small number” of his clients were recently contacted, seven months after the investigation was supposed to have begun. That's usually how you do investigations -- you figure out the conclusion and then, as you're finishing up your report, you reach out to the actual victim-witnesses to hear whatever lies you'll have to mention in your footnotes. This is the most no-BS explanation of the 2nd amendment out there. Had a blast at the Outdoor Sportsman gun store in Stockton this afternoon on our #saveCAtour! 'I feel like I've died and gone to heaven,' the Republican candidate for governor said as he walked in. Donnelly lingered at the counter, and he shook his head when he saw a customer filling out paperwork required to buy a gun in California. 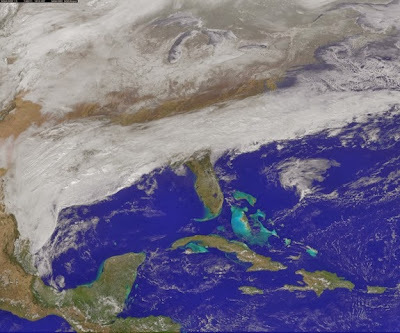 When asked to elaborate on the 'catastrophic' warning, Brian Hoeth, a meteorologist at the service's southern regional headquarters in Fort Worth, Texas, said forecasters were talking about an ice storm that happens only once every 10 to 20 years for the area. Forecasters predicted crippling snow and ice accumulations as much as three-quarters of an inch in area from Atlanta to central South Carolina. Wind gusts up to 30 mph could exacerbate problems. Lake Superior hasn’t completely frozen over in two decades. But an expert on Great Lakes ice says there’s a “very high likelihood” that the three-quadrillion-gallon lake will soon be totally covered with ice thanks to this winter’s record-breaking cold. The ice cover on the largest freshwater lake in the world hit a 20-year record of 91 percent on Feb. 5, 1994. Obama officials made clear in a press briefing that firms would not be allowed to lay off workers to get into the preferred class of those businesses with 50 to 99 employees. How will the feds know what employers were thinking when hiring and firing? Simple. Firms will be required to certify to the IRS – under penalty of perjury – that ObamaCare was not a motivating factor in their staffing decisions. To avoid ObamaCare costs you must swear that you are not trying to avoid ObamaCare costs. You can duck the law, but only if you promise not to say so. Companies Must Now Swear — to the IRS — That None of Their Layoffs Are Because of Obamacare. This is one way to skew the Obamacare stats and turn the IRS into the Democrats’ personal political army in a stroke....Company officials will be trapped in a catch-22. They can lay off as many people as they want because of Obamacare. But because they’ll have to swear to the IRS that their decisions had nothing to do with Obamacare, they can’t speak publicly about what’s happening. What a great way to silence the people who are on the front lines of dealing with Obamacare’s horrific effects. Speaker John Boehner, who usually does not vote, voted "yes," as did Majority Leader Eric Cantor and Whip Kevin McCarthy. House Budget Committee Chairman Paul Ryan voted "no." Cantor blamed the debt ceiling increase on Democrats. "House Republicans need more responsible and willing partners in Washington so we can finally and boldly address our long term debt crisis," he said in a statement. Ryan called the vote a "missed opportunity." "We need to pay our bills today and make sure we can pay our bills tomorrow," Ryan said in a statement after the vote. The House GOP's inability to force even a modest fight on the debt ceiling prompted an outcry from conservative groups, including several calls to replace the current House leadership. The Senate Conservatives Fund says that it is time for House Speaker John Boehner to go and they will keep track of the GOP lawmakers that support their effort to oust him from his leadership post. The group, which is targeting several incumbent Republicans in primary races this year, said Mr. Boehner, Ohio Republican, has sold out small government principles on too many occasions and the last straw came this week when House GOP leaders signaled they were going to support a bill to increase the nation’s borrowing limit without attaching any strings to reduce spending. Oh . . . what? What’s that you say? Oh. Sorry. That was back last year. How many times are they going to yank the football away from themselves before Republican voters kick them to the curb? The caving was that bad. 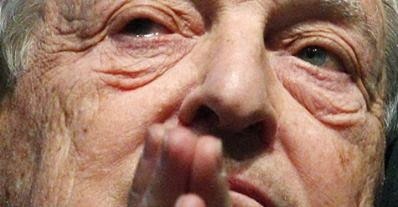 Though President Obama insists the Internal Revenue Service is not guilty of the political targeting of nonprofits, WND has learned the agency contracts with an avowedly “progressive” organization supported by George Soros to process data filed by smaller tax-exempt groups. The federal agency process sends details contained in the annual filings for organizations with $50,000 in annual receipts or less to the Urban Institute, which is funded at least partly by government payments as well as contributions from far-left activist George Soros. The IRS page directs groups to file with the Urban Institute, although apparently other providers also can file the Form 990 documentation, which is required of every nonprofit, small and large. The IRS.gov page on the “Annual Electronic Filing Requirement for Small Exempt Organizations – Form 990-N (e-Postcard)” includes instructions to file online, and includes a direct link to the Urban Institute. Washington Free Beacon reporter Alana Goodman’s scoop featuring new insights on former First Lady and presidential candidate Hillary Clinton Monday made waves around the country Monday, becoming a discussion topic on every cable news channel and broadcast network. 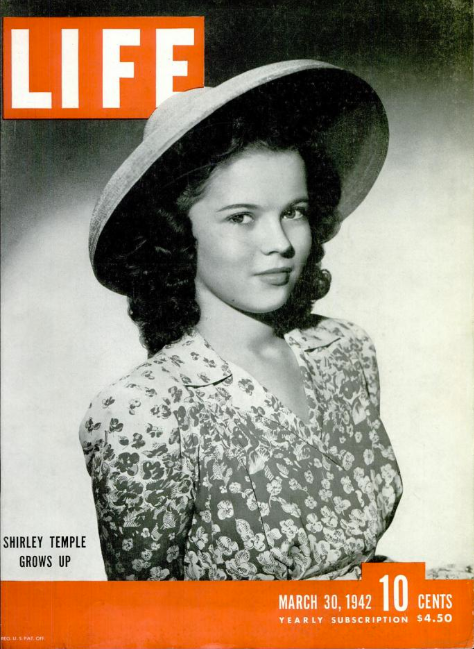 ◼ David Webb: So much for the ‪#‎WarOnWomen‬, ‪#‎ShirleyTemple‬ was a proud ‪#‎Republican‬ in politics in the 1960s and served in diplomatic posts under 4 presidents. A sobering look at how not dealing with the deficit in the CalSTRS teacher retirement fund will harm the next generation. The #1 rule of defined benefit pension plan management is that plan sponsors should supply enough cash each year to fund the “annual required contribution” (ARC). Failure to pay the ARC produces pension deficits. The #1 violator of that rule is California. 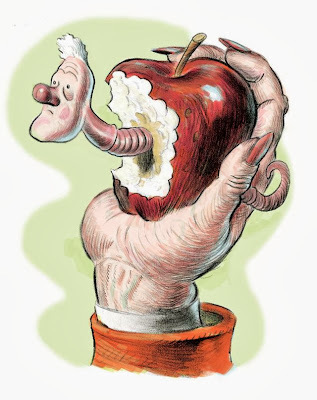 In 2013, the California teachers pension fund (CalSTRS) received only 44% of its ARC. The skipped contribution — $3.5 billion — was the largest skipped ARC in the country. California has been skipping ARC’s for so long that, on Valentine’s Day last year, CalSTRS asked Governor Jerry Brown and the State Legislature for a $240 billion cash injection over 30 years, starting with $4.5 billion this year. 329 days later, Governor Brown responded: Wait till next year. CalSTRS’s debt has been the easiest can for Brown and the Legislature to kick down the road. It doesn’t need to be repaid until the fund runs out of money (CalSTRS says that happens in 30 years, financial economists say earlier), the press pays little attention because there are no current consequences, and the can is kicked at innocent people — the next generation — who don’t know they’re being assaulted. But because the can grows every time it’s kicked, the consequences for that generation are devastating. Each kick attracts interest at 7.5 percent per annum and, more perniciously, that interest is paid invisibly because it’s added to the balance due, just like the accrued-interest mortgages that helped cause the financial crisis. As a result, $20 billion of new debt today becomes a $160 billion balance due when CalSTRS runs out of cash. That’s on top of CalSTRS’s existing debt, which is also invisibly accruing interest at 7.5 percent per annum. 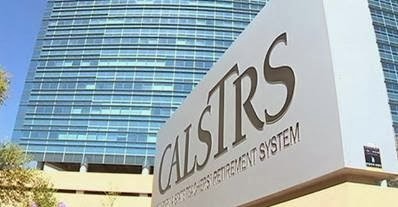 If unaddressed, CalSTRS’s debt will grow to more than $600 billion by the time it runs out of money – i.e., when cans may be kicked no more – and sends the next generation into a crisis unlike any before seen in California. That generation would have to choose between making pension payments to retirees or providing K-12 education and other public services, setting the stage for an intergenerational war. ...Unfortunately, until now, Sacramento’s approach to these unfunded liabilities is probably why the phrase “kicking the can down the road” was coined. Even Governor Brown, who has espoused government frugality and responsibility -- while increasing state spending -- ignored the unfunded pension systems in his proposed state budget. Another day, another lawless exemption, once again for business. President Barack Obama’s Treasury Department issued a new regulation today that for the second time directly violates the plain and unambiguous text of the Patient Protection and Affordable Care Act by allowing some businesses to avoid the law’s Dec. 31, 2013 deadline to provide health insurance coverage to their employees. In sum, the law says that employers with “at least 50 full-time employees” must provide “minimum essential coverage” in the “months beginning after December 31, 2013” or pay a fine. The new declaration from the Obama administration’s Treasury Department says this part of the law no longer applies. It says employers with between 50 and 99 employees need not provide coverage until 2016 and larger employers need only provide coverage to 70 percent of their employees next year. The “myRA” plan Obama unveiled in his State of the Union address would also be outlawed in the private finance world because it offers no investment diversification and amounts to a conflict of interest, violations that call for fines up to $100,000 and up to a year in prison. “If private sector plan sponsors offered this plan to their participants, they would be called crazy. They could also go to jail,” according to an analysis by the investment firm Marotta Wealth Management. Obama's retirement plan has been heralded in some circles as a good way to get low- and middle-income Americans to put money away for their retirement tax free. Even if one took the high end of these estimates, the most one could claim is that about 4 million people have gained insurance because the Affordable Care Act, but that’s being extraordinarily generous. In the meantime, given the fuzzy nature of the numbers and the wide publicity devoted to the recent surveys, Durbin has little excuse for going on national television and claiming that every one of these people had been previously [un]insured. This has now become a Four Pinocchio violation. Work. It’s what makes America the country it is. It’s time we rediscover that as a nation and stop punishing those who want to get ahead and make things go. 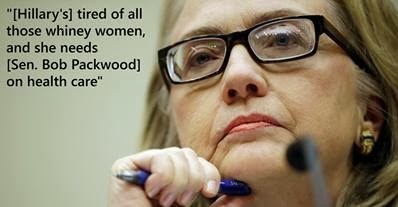 Much of the portrayal is of the bitter, brutal, belligerent Hillary we all know. But her early support for single-payer, despite later denials, is directly relevant to the Obamacare debacle that will be an issue in the 2016 election. ...Partisan sniping will probably prevent a good discussion of the safety net's costs and benefits -- and the value of work. That's too bad, because it's a discussion worth having. ...Democrats insist this is a boon. Indeed, many are talking about it as an act of liberation (which reminds me of an 11-year-old headline from the Onion: “IBM Emancipates 8,000 Wage Slaves”). ...The dispute goes back to a series of statements from Centers for Medicare and Medicaid Services (CMS), the lead Obamacare agency. The insurers told healthcare advocates that the November guidance requires them to reject payments from the Ryan White program in order to combat fraud, said Robert Greenwald, managing director of the Legal Services Center of Harvard Law School, a position Louisiana Blue still maintains. "As an anti-fraud measure, Blue Cross and Blue Shield of Louisiana has implemented a policy, across our individual health insurance market, of not accepting premium payments from any third parties who are not related" to the subscriber, Maginnis said.